With spring in the air and tax season coming to an end, April is generally the time homeowners commence their home improvement projects. (Though there are also some great winter home improvement projects you can put on your to-do list.) These extracurricular activities – which range from small upgrades to full-scale renovations – are ideal for improving short and long-term value in one’s home. While some home improvement projects can significantly increase your home’s value, others will end up costing you more than they’re worth. The latest 2016 Cost VS Value Report, which compares average cost for 30 popular remodeling projects in 100 U.S. markets, reveals the top 10 home improvement projects with the highest return on investment. If you’re considering putting your house on the market anytime soon, these home improvements projects are expected to fetch you the highest return. “If you don’t have that kind of money to invest, at the minimum I would recommend adding color with annuals, perennials, or seasonal flowering shrubs; mulching; edging; removing weeds; and getting the grass as green and full as possible,” said Shorb. “Those are the quick and inexpensive fixes. Any improvements to the exterior of your home, especially the landscaping, will not only add value to your home but the curb appeal alone will get prospective buyers gawking. Along with adding beneficial living space without increasing the footprint of your home, one of the better home renovations to make is a basement remodel. Basement remodels, which can cost around $68,000 and have a resale value of $48,000, offer homeowners a 70.4 percent return on their investment. If you don’t have a basement or crawl space, remodeling a bathroom could still fetch a healthy return on investment (65.7 percent). When assessing home improvements, it’s important to consider your home’s number one defense against the elements: the roof. With a 71.7 percent return on investment, replacing your roof is one of the smarter projects to undertake this spring. Although it may sound complicated or expensive, it comes down to taking care the most important parts of your asset. With summer around the corner, deck and patio additions are one of the more financially savvy home improvements you can make. Along with increasing living area at a minimal cost per square foot, installing a wood deck or patio also will significantly add value to your home. According to the national 2016 averages, a deck or patio addition will cost you approximately $10,471, with a return of 75 percent. One critical component to not overlook in your home improvement campaign is your home’s siding. This exterior material, which is applied to the walls of a house, is used to protect it from the effects of weather, and is a key element in your home’s curb appeal. According to the national 2016 averages, replacing your home’s siding will cost $14,100, with a return on investment of 77 percent. Fiber-cement siding, which made from a mixture of wood fibers, Portland cement, clay and sand, has become very popular as of late, thanks to its rugged durability, low maintenance and weather resistance. The kitchen is the heart of every home. Along with home functionality, the kitchen is an integral aspect tied to your home’s value, so it’s important you give it the TLC it deserves. According to the national 2016 averages, a minor kitchen remodel will cost $20,122, while it will increase the resale value by $16,716. By applying some of the latest kitchen trends, a minor kitchen remodel can yield generous returns and add a ton of value to your home. For years, a front door replacement has been the top remodeling projects with the highest ROI. While it’s no longer the number one provider of return on investment in 2016, installing a steel entry door is an easy option to increase your home’s value, as well as making it more attractive from a buyer’s perspective. According to the national 2016 averages, the cost of a steel entry door replacement is approximately $1,334, with a return of 91.1 percent. If steel isn’t your thing, a fiberglass door will still fetch a 82.3 percent return on investment. Replacing your garage door, one of the more popular home improvement projects for spring, can provide significant value to homeowners. Along with increasing curb appeal, replacing your garage door will also make it significantly easier to sell your home when the time comes–and for more money. Prices for a garage door vary significantly but according to the national 2016 averages, a garage replacement will produce a 91.5 percent return on investment. One of the newer and most popular home improvement trends on the market today is stone veneer. These stones, which are installed in front or side of the exterior of a home, are used to make it appear as if the house is made from stone. It’s a fantastic way to improve the value of your home without being out the expense.According to the national 2016 averages, the cost of installing manufactured stone veneer will run you roughly $7,519, with a resale value of $6,988, and produce a return on investment of 92.9 percent. In 2016, the home improvement project that undoubtedly has the highest return on investment is insulating your attic with fiberglass. According to RemodelMax, the estimated average cost for attic insulation is $1,268 nationwide, while the price of the home at resale would increase to $1,482, giving homeowners a return on investment of 116.9 percent. For green home improvements, add loose-fill fiberglass insulation, one of the more eco-friendly and energy efficient options available. Not only will it lower you energy bill by approximately 10 percent but you can also qualify for tax credits (up to $500). With a top return on cost of any of the 30 projects, attic insulation is definitely the way to go this year. Spring 2016 is expected to be a big season for the homebuyers and seller, with experts predicting it to be more active than previous years. 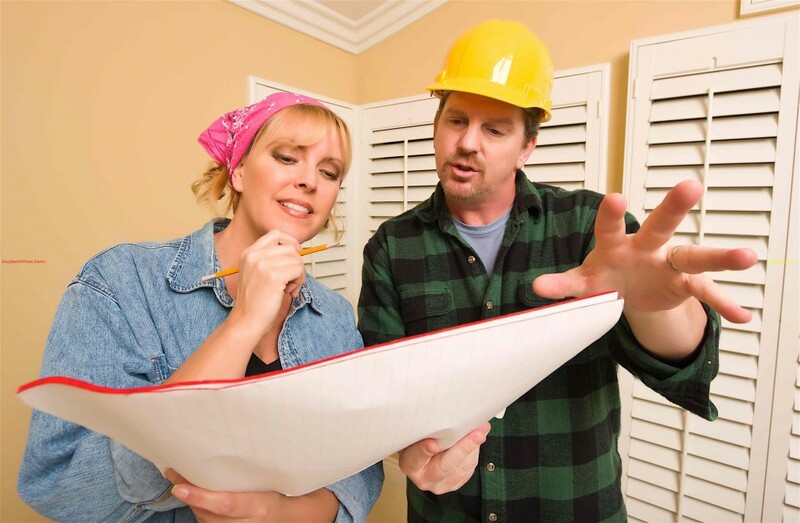 What projects are at the top of your home improvement list?